Egyptian Heroes is a high quality online video slot game produced by Net Entertainment. The theme of this game is all about Ancient Egypt and the godlike Pharos that ruled the land. The overall look and feel of the game is very clean with a simple pyramid wall backdrop and minimalistic sound effects. The reels themselves appear translucent with the various symbols floating in space in front of the pyramid. The graphics are sharp with warm colours and smooth animation when a winning combination is achieved. Egyptian Heroes is a 5-reel slot with three rows and a total of 20 paylines. Before each spin, players can set the number of paylines from 1 to 20 as well as the coin denomination from 0.01 coins up to 0.5 coins per payline. The game also features a bet level adjuster which can multiply the bet up to 10x. In terms of bonus features, the game includes Wild symbols, Scatter symbols, Free spins and an innovative Gold Bet Line Multiplier which can increase any win by up to 5x. There are a total of five high paying symbol and five low paying symbol in the Egyptian Heroes slot game. The highest paying symbol of the game is the birdlike Egyptian god. Finding all five across the reels will pay out a maximum of 4000 coins. Next in line is the catlike god followed by the female winged god and the large god with a glowing orange face. The final god is the green Egyptian god with a crocodile face. The five lower paying symbols include the five high card symbols from 10 to ace. The Wild symbol in Egyptian Heroes is the image of the pyramid. When the Wild symbol appears on the reels, it can be used to substitute for any of the other symbols in order to complete a winning combination. When the Wild symbol does complete a combination, it will expand to fill an entire reel and make it easier to form even more winning combinations on the rest of the reels. The Scatter symbol in Egyptian Heroes is gold statue of a sphinx god. This symbol is the key to unlocking the free spins bonus round. In order to activate the free spins round, players must land 3 or more Scatter symbols anywhere on the five reels. If players land all five Scatters, the maximum number of free spins awarded is 20. During the free spins round, a sticky expanding Wild will cover the middle reel for the duration of the free spins. Egyptian Heroes features a unique bonus feature called a Golden Line Bet Multiplier. This is a random line bet patters drawn from the 20 paylines that appears in gold on each spin. Each gold line has a multiplier attached from 2x up to 5x. If players manage to land a winning combination that coincides with the gold bet line multiplier, the total win will be multiplied by the bet multiplier displayed at the top of the reels at the time. Greyhound racing is quite an uncommon sport. Many countries don’t even consider the event a sport to begin with let alone cater to fans at brick and mortar betting shops. Luckily fans of this form of racing can fulfil all their needs with online sports betting. Online betting offers access to sporting events that most players only dream of. This is why online sports betting is finding more and more popularity, the vast amount of options and niche sports that they cater for. Fans of Greyhound racing from around the world can finally take part in legal betting that may not previously have been available to them. If you are unfamiliar with Greyhound sports betting, there are 3 tournaments to look out for. The first is an American event called Greyhound Night of Stars. 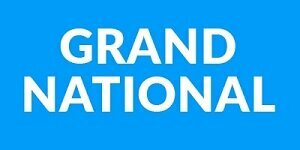 This is probably one of the biggest Greyhound racing events in the world. Not only can players place bets on the races, but you can also wager in good conscious because much of the proceeds of the event goes to the charity Greyhounds as Pets of America. Greyhound racing can also be found in the UK at the English Derby. Easily one of the most prestigious events for racing, the English Derby has been going strong for nearly 80 years and features the very best of English racing dogs. Finally there is the Irish Derby. It is a smaller, but no less distinguished event than the English Derby. Greyhound sport betting has a particular format that you can use to wager on events. Most sites will offer a standard selection of betting options. For single picks you have 6 basic wagers. The first is the Straight Bet. This is a simple and popular bet where you simply pick your favourite dog to win. The site will set specific odds for each dog to win. 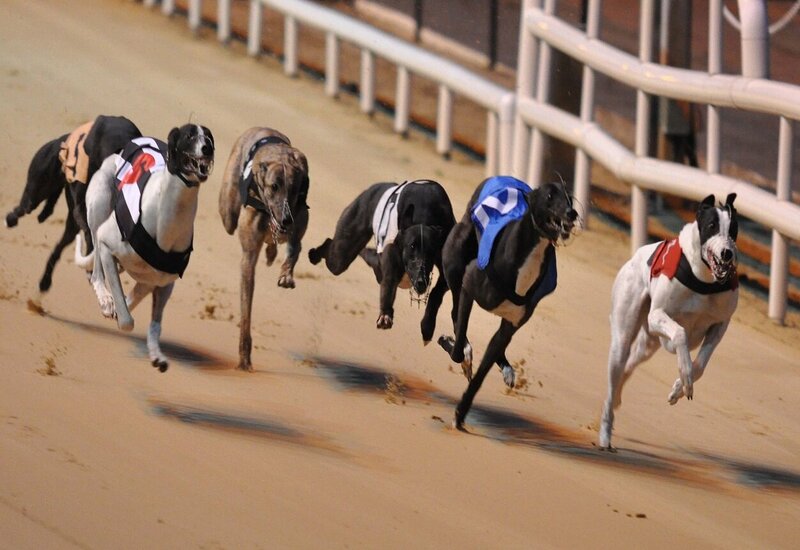 A Place bet is where you specifically select a dog to finish either first or second in the race. The Show bet extends this pick to include the dog finishing in the top 3 positions. You can combine these three bets into an Across The Board bet. Pick 3 and Pick 6 are long odd bets, where you pick a winner for 3 or 6 consecutive races. This bet usually offers big rewards. There are also group wagers that can be place in Greyhound sports betting where you make predictions on more than one dog. The straight Forecast bet has players choosing two dogs and in what order they cross the finish line. The Treble Forecasts allows 3 dogs and 3 positions. The Combination bet allows players to pick 2 to 4 dogs and their finishing order. A Reverse Forecast has you picking two dogs, one for first and one for last place. The Superfecta bet is placed on 4 dogs and their positions. There are many more betting options available at online sport betting sites, with many sites offering unique wagers. Greyhound sports betting can be found online at sports betting sites and online casinos. Always place at licensed and reputable sites to ensure you get the best experience possible. Also make sure that the site you want to use offers an acceptable range of currencies, security and customer service. Sirens have their roots firmly planted in Greek Mythology. They were beautiful but lethal – luring unsuspecting sailors into troubled and rocky waters with their irresistible beauty and enchanting music. Sirens are said to have been the daughters of river gods, and their songs able to corrupt and lay to waste all human life. The death of a siren only occurred when a human managed to resist the intoxicating charm of her song, and successfully passed her by. The theme of Siberian Siren slot is a combination of mythology and the lure of another almost magical creature, the Siberian Tiger. Siberian Siren slot features 5 reels and 40 paylines, as well as a host of multipliers and free spins that add to the games overall winning potential. Symbols include the white Siberian Tiger, the Siberian Siren, a Siberian Husky, a vase, a vile of magic potion, a pendant, a selection of crystals and a Faberge Egg. The Golden Tiger is Siberian Siren slot’s wild symbol. The wild symbol will transform into all standard symbols in order to accomplish a winning combination of symbols. The wild symbol will not substitute for the bonus symbol. The bonus symbol is the emerald green Faberge Egg. The aim is to land a combination of 3 or more of the bonus symbol on an active payline, which will then in turn activate the Free Spins Bonus Round. The bonus symbol is not a scatter symbol. The number of free spins up for grabs during the Free Spins Bonus Round, depends on the number of Faberge Egg bonus symbols initially landed. Three eggs will activate one free spin, two will trigger two free spins and three carries a reward of 3 free spins. During the Free Spins Bonus Round, the Golden Tiger wild will appear at random on reels 2, 3 and 4. With each lucky sighting of the Golden Tiger wild symbol, an additional free spin is awarded. The Siberian Siren slot top jackpot is worth a cool 50 000 credits. In order to pocket this grand prize, the Siberian Siren symbol must land on the first reel, with 4 Golden Tiger symbols appearing simultaneously on the other reels. The graphics are rich in colour and splendidly detailed, which definitely adds a quality feel to the game. The game is well designed and the technical aspects seem to be well taken care of, as the game does not drain the capacity of your system. The reel action flows comfortably. Siberian Siren slot is governed by a user-friendly interface, creating effortless interaction. Siberian Siren slot can be played for free or for real money. The game is generally played in Flash mode when playing in practice mode (for free), and as such does not require full download or pre-play player registration. Betting options are flexible, without eradicating the possibility of scoring large wins on small bets. Seasoned players have been around the online slot block and have spun the reels of many online games before, and because of this have come to enjoy and play on only the best slot releases. Their slots of choice present the overall package, from themes, payouts, in-game features and state-of-the-art software. One such slot is the Cryptologic Games Siberian Siren online slot. The online slot game is perfect for slot pros for numerous reasons. Firstly, this slot is designed in a very unique, and possibly never before used, theme of Siberian tigers. Seasoned players have seen it all and have experienced themes from A to Z, so when a refreshingly themed slot comes out, seasoned players like to enjoy something new. Only the best slots featuring the best in-game graphics, layouts, styles and feels are sought out by those who know slots well. Cryptologic Games Siberian Siren slot offers all this and more, together with a simple interface, easy navigation, uninterrupted gameplay and in-game software and technology which creates technology benchmarks and doesn’t follow them. Slot aficionados enjoy many chances to win, so the more pay lines and in-game bonus features in a gaming title the better. A draw card for slot pros is the 40 bet lines featured on this slot as well as the multitude of bonus symbols and features including a wild, a retriggering wild, free spins, scatters and bonus icons. Slot pros also look for slots which come with large jackpots and Cryptologic Games Siberian Siren slot certainly delivers in this regard with a jackpot of a whopping $250 000 or 50 000 coins. While slot enthusiasts tend to always go for the real money mode option, the Cryptologic Games Siberian Siren online slot is also available in free money mode. This is perfect for those wanting to try out this game, practise their skills on the reels and understand the know-how of slot gaming without having to bet for real money. Not forgetting those who place big bets, this slot in free play mode is also the perfect opportunity for slots pro to take a break from the intensity of betting everything on high wager slots. Sometimes, spinning the reels for fun and for free offers a refreshing break and just simple online fun. Although experienced slot players generally go for maximum pay lines and maximum coin values to reap the biggest rewards, they sometimes enjoy a less intense slot game and less stressful betting option. Cryptologic Games Siberian Siren slot offers a wide array of coin denominations and pay lines for players to choose from. This slot offers one to five credits for every line, with a coin value that can climb up to five dollars per coin. Follow the common high betting tactic of the slot pro and go big or go home. This slot pays out small rewards and really returns the favour to players when a whopping 50 000 times your line bet occurs. Shark Bite is an ocean themed online video slot from Cryptologic with 5 reels and 25 paylines. The paylines are fixed so players will always be playing with a maximum of 25 paylines. The symbols are colourful and designed in cartoon style. The symbols will animate on the reels when there is a winning combination and sound effects can be heard during a win. The symbols include a variety of sea creatures and include the clown fish that looks a lot like Nemo and offers the highest payout of the standard symbols of 750 coins for 5. The purple fish peering out from the seaweed and the stingray both pay out 500 coins for 5. The starfish is worth 300 coins for 5 and the seashell will payout 100 coins for 5. The other fish each payout 75 coins for 5. The Shark Bite logo offers the highest payout of Shark Bite and will payout 1000 coins if 5 appear on the paylines. The free games symbol is the treasure chest and will activate the free spins round. The bonus logo will activate the bonus game. The wild symbol is the wild logo with a shark and will substitute for all of the symbols except the bonus and free games symbols to create winning combinations. The wild symbol has the ability to expand horizontally transforming any of the symbols to the right into wild symbols. The free spins round is activated when 3 or more of the free games symbols appear on reels 2, 3 and 4 and players will receive 10 free spins. All winning combinations will pay out from left to right and right to left on consecutive reels and only the highest win on a payline is paid out. The free games round cannot be reactivated. The bonus game will be activated during the free spins round. When 2 or more of the bonus symbols appear on reels 2, 3 or 4 the feeding frenzy bonus round will begin. Players will be given 3 attempts to select a school of fish and each pick will reward players with a multiplier. The maximum multiplier that can be won is times 30. After players have had their 3 picks the total score of this round is multiplied by the total play. Shark Bite has a minimum bet of 0.01 and a maximum bet of 10.00 making the total maximum bet 250.00. Players can use the + and – buttons on either side of the autoplay button to select between 1 and 50 automatic spins. The advanced button will let players select more autoplay settings. The paytable button can be clicked to view all of the Shark Bite symbols and their payouts, rules of the game and all of the possible winning combinations. The spin button will spin the reels a single spin at a time using the current bet and the max bet button can be selected to spin the reels with all paylines active and using the current bet. Shark Bite offers players some good opportunities for wins with the extra free games and the chance to win multipliers during the feeding frenzy. The expanding wild also increases the opportunities for wins. Savannah Sunrise is a Cryptologic development and will take players on a safari through the African bush. The game is set against a sunrise on the plains of Africa and African music will play when there is a winning combination and the wild and scatter symbol will animate if they are part of a win. Savannah Sunrise features 243 ways to win. Players do not choose paylines, but they can activate reel positions. Savannah Sunrise symbols all have an African theme and include Zebra and monkey which will each have a payout of 200 coins for 5. If 5 Giraffe symbols appear on the reels players will receive a payout of 2000 coins and the Elephant will payout 5000 coins for 5. The playing card symbols are also featured in Savannah Sunrise and offer lower payouts. The Ace and King pay out 150 coins for 5, the Queen and Jack are each worth 125 coins for 5 and the Ten and Nine will each payout 100 coins for 5. The wild symbol is the lion and will only appear on reel 2 and 4 and will substitute for all of the symbols except the scatter to create winning combinations. The scatter symbol is the tree and will activate the free spins round. The scatter has a payout of 100 coins for 5, 15 coins for 3, 4 coins for 3 and 2 coins for 2. All wins will pay from left to right including the scatter symbol. The free spins round is activated when 3 or more of the scatter symbols appear on the reels from left to right. Players will receive 20 free spins. During this round if the wild symbol substitutes on reel 2 players will receive a multiplier of times 3. If the wild symbol substitutes on reel 4 players will receive a multiplier of times 5 and if the wild symbol substitutes on reel 2 and 4 players will receive a multiplier of times 15. The free games round can be reactivated and is played using the activating bet and reels. All wins from the free spins round will be added to the wins from the scatter and base game. Players can choose to activate 1,2,3,4, or 5 reels. If they choose 1 reel they have 3 ways to win, 2 reels is 9 ways to win, 3 reels is 27 ways to win, 4 reels is 81 ways to win and 5 reels is 243 ways to win. In the Savannah Sunrise the game rules, which can be viewed by clicking the paytable button, advise players that on the non-active reels it is only the middle symbol positions that will be active and that a win can be achieved when betting 1 credit. Players are advised to activate more reels to increase the ways in which they can win. Players can select their bet amount by clicking the bet button and the minimum is 0.01 and the maximum bet is 20.00. Players can also choose their active reels by clicking the reels button and using the left and right arrows. The spin button will spin the reels using the current bet and reels. The max bet button will spin the reels using the maximum reels and the current bet. The total bet displays the bet meter multiplied by the reel value. All wins will be multiplied by the value in the bet meter. Savannah Sunrise has well presented high quality graphics and features an increased chance of winning with the 243 ways to win and the extra free spins which can be won during the free spins round. The world of online casinos is an incredibly exciting one filled with plenty of different games. However, one particular kind of game is just as popular now as they were all those years ago. Online slots games were designed to be quick and easy to play so that players can log on and within a matter of minutes and be well on their way to making themselves a pretty penny on the reels. This is particularly evident in games like Witches Wealth. This mystical game has plenty to offer those who play it, some of which is detailed below. Witches Wealth has some excellent graphics. The entire slot game is designed against a deep blue background and is filled with a wide variety of imagery, all of which makes it feel as though players have stepped into another world. Furthermore, this game has some fantastic symbols, which certainly help when it comes to creating another world inhabited by witches. These symbols include the likes of a jar filled with eyeballs, an owl, plenty of spell books, some vials and a golden cup. Of course, this game also has its fair share of bonus symbols. The witch, Serena, serves as the wild, while the cat, Mr Twinkles, serves as the bonus symbol. Finally, whenever players manage to spin the symbol of the bat, they will have found the scatter symbol. No online slot game would be complete without some excellent bonus features, and Witches Wealth is certainly no exception to this rule. This game has two bonus features hidden within it, and all players need to do in order to activate the game is to spin either three, four or five symbols of Mr Twinkles the cat. The first bonus feature that players can expect from Witches Wealth is that of the Spinning Wand Bonus. By spinning three or four cat symbols, players will be redirected to this mini game. Here, they will need to press the ‘start’ button and then spin the wand. This will result in a prize amount being awarded. After this, players will either return to the main game or they will be further redirected to the second bonus game. The Flying Rescue Bonus, which is also offered on Witches Wealth, can either be accessed through the first bonus game, as mentioned above, or by landing five cat symbols in a single spin. Here, players will need to help Serena the witch fly and rescue Mr Twinkles the cat and get him home safely. Serena will be located on the balcony at the left hand side of the screen, while Mr Twinkles is on the right. Once she has the cat in her hands, Serena then has to fly and dodge plenty of heavy objects in the way, including the likes of pianos and clocks. The further along a player is able to help her get across, the higher their total prize money will be. As far as slot games go, Witches Wealth is an incredibly exciting one that offers plenty of potential to win big.